Venue and Time/Date: The group will meet on the 2nd Thursday of every month from 10.30-12.30pm at St. Paul’s Community Centre, Walkden. Handicrafts covers a wide range of skills including wool craft, needlecraft and paper crafts. This group is for anybody who has a skill they would like to share or something they would like to learn. Members can learn from each other, share ideas and become creative in a relaxed, chatty atmosphere. 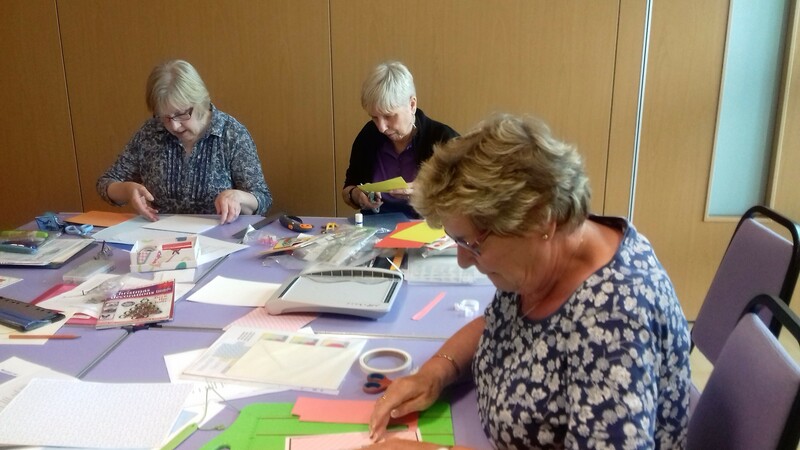 Sessions include a variety of crafts based on members interests, with a programme and projects decided by the group. Some sessions are currently just a broad topic with details to be planned. The programme is subject to change. Some sessions are currently just a broad topic with details to be planned. The programme is subject to change. Unless otherwise stated, materials and equipment provided for a small charge. 10th Jan. Crochet 1 Basic techniques. Please bring own yarn and hook. 14th Feb. Crochet 2 Project – patterns available, please bring own wool and hook. 14th March Rubber Stamping 1 Basic techniques. 11th April Rubber Stamping 2 Easter project. 13th June Jewellery Making Member project. 11th July Dorset Buttons Decorative button making technique back by popular demand.